Michael Phelps capped an explosive evening of record-breaking and barely concealed needle the other day by bagging an astonishing 19th Olympic gold medal in the men’s 4×100 metres freestyle relay. Earlier, Adam Peaty ended 28 years of Olympic hurt for Britain’s male swimmers as he romped to gold in the 100 metres breaststroke final in Rio, smashing the world record for the second time in two days. Phelps again provided the spark. He set a blistering 47.12-seconds record of leg to overtake France’s Fabien Gilot and set up victory in the 4x100m free. His fiancé, Nicole and toddler Boomer cheered in the stands. Nathan Adrian anchored the Americans to a time of 3:09.92 to end French dominance of the event stretching over the past two world championships and the London Olympics four years ago. 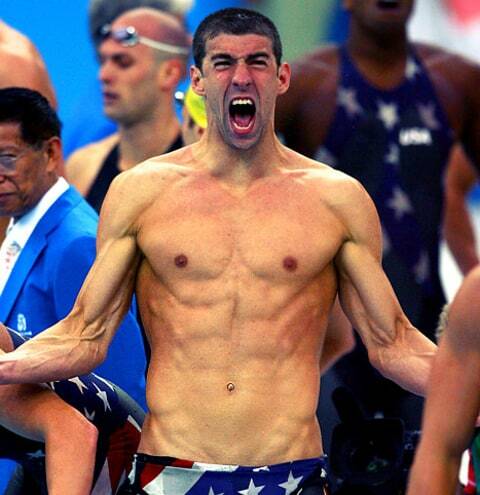 “It was crazy,” explained Phelps, competing in his fifth and final Games. “I was standing on the block while Caeleb (Dressel) was coming in and I honestly thought my heart was going to explode out of my chest. 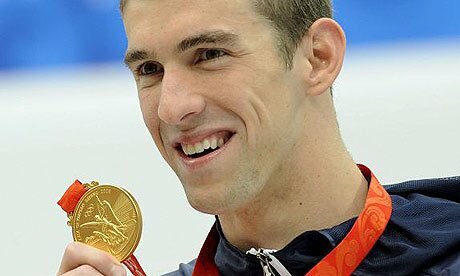 “We wanted that race back so badly,” added Phelps, who hugged teammate Ryan Held on the podium as he sobbed tears of joy. In contrast to the Brazilian crowd’s love-in with a fist-pumping Phelps, however, there was genuine animosity when Russian Yulia Efimova, who escaped a drugs ban to compete in Rio, was introduced before the 100m breaststroke semi-finals. That paled compared to the boos that greeted the Russian men’s 4x100m freestyle relay team, however, as fans and athletes supporting teammates vented their irritation after months of doping scandals. Peaty’s fireworks were sandwiched between two more world records — by Sweden’s Sarah Sjostrom in the women’s 100m butterfly and prolific American Katie Ledecky, who obliterated her own 400m freestyle mark by almost two seconds. World champion Peaty clocked 57.13 seconds, slicing almost half a second off the mark he set in Saturday’s heats to emulate Adrian Moorhouse’s victory in the same event at the 1988 Seoul Games — the last time a British male swimmer won gold. Title holder Cameron van der Burgh of South Africa took silver in 58.69 and American Cody Miller bronze in 58.87. Ledecky, chasing a historic Rio treble in the 200, 400 and 800m free, produced another remarkable swim in the 400m, stopping the clock in an eye-popping 3:56.46. Her time was her 12th world record and was almost five seconds quicker than silver medallist Jazz Carlin of Britain. “I was pumped — 3:56 or better, that’s what I wanted,” added Ledecky, hoping to become the first swimmer to equal Debbie Meyer’s 1968 feet of a 200, 400 and 800m hat-trick. No Swedish woman had ever won an Olympic swimming gold, but Sjostrom ended that streak with aplomb. “It’s the heaviest medal I ever won,” she said after completing a collection of European, world and Olympic titles.